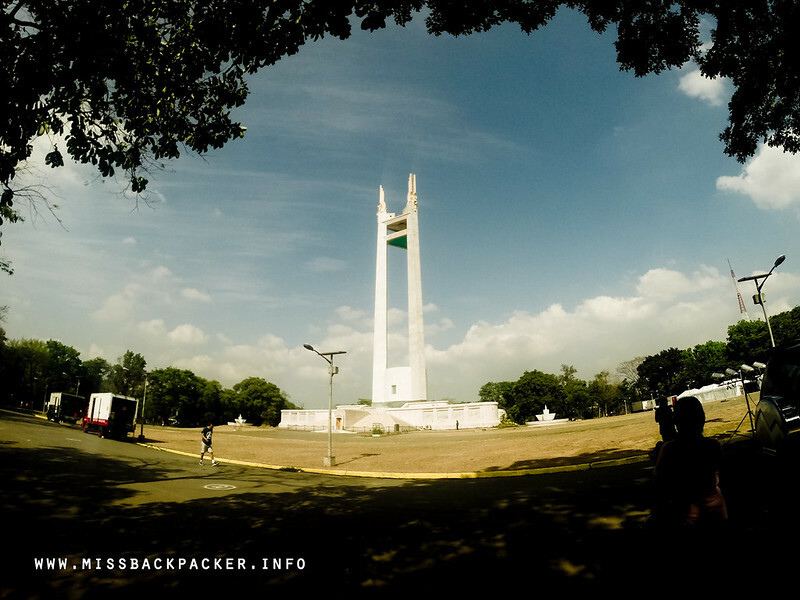 The Quezon City I Didn't Know | Where Have You Been Lately? 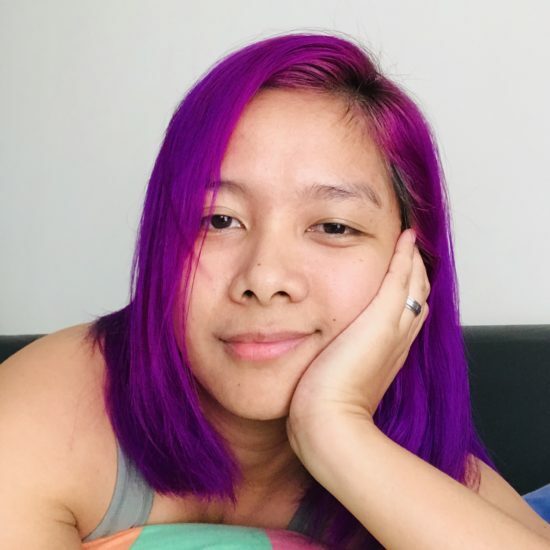 I lived in Quezon City for a significant number of years and I didn’t know that there are a few other things you can do around the city aside from the usual tour in the Quezon Memorial Circle or food crawling in Maginhawa Street until recently. So, if you have nothing to do this weekend and you’re just residing in or near Kyusi, why not visit the following spots as a cheap alternative for an out-of-town trip. Aside from eating isaw and pisbols, there are more things you can do/see while you are in UP Diliman. 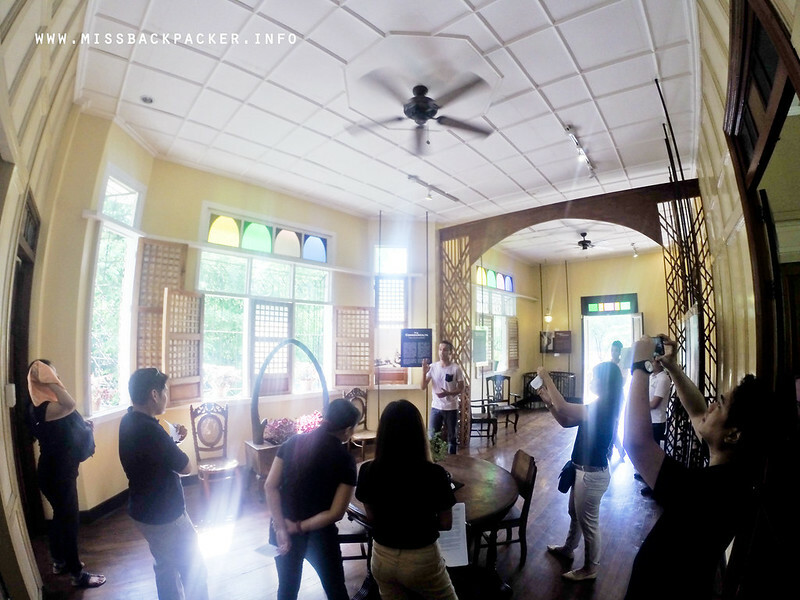 One among many others is visiting the Jorge B. Vargas Museum and Filipiniana Research Center. With a minimal fee of Php 20 – 30 for each visitors, feast your eyes on eccentric forms of artworks by known Filipino artists that are housed in the building. The museum is open from Tuesday to Saturday and offers a bookshop, a café, changing and temporary exhibitions, book launching, poetry reading, lectures, and a lot more. You can easily spot the museum as it is one of the first buildings on the right wing of the campus after the Main Library Building, where the famous Oblation is located. 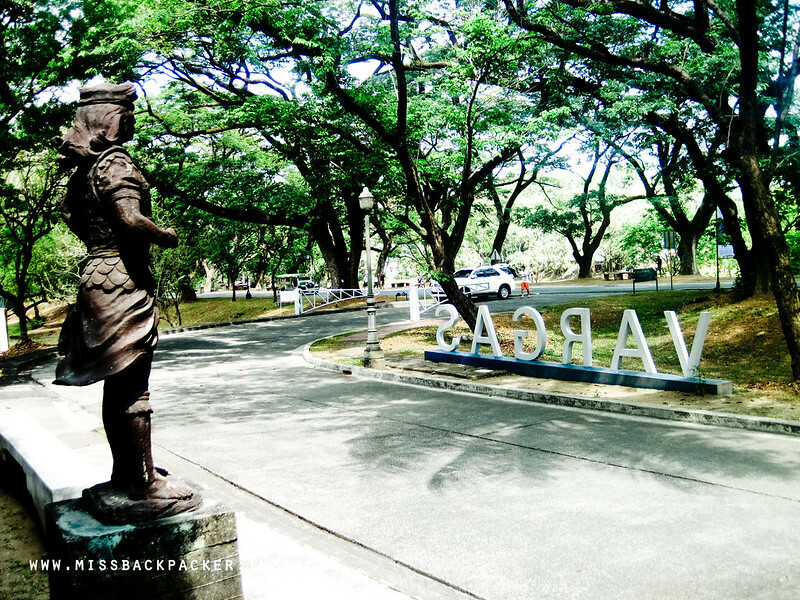 You will not have difficulties finding this spot in UPD. If you see these V A R G A S letters, then you’re in the right direction. This was the featured exhibition in the lobby of the museum during out visit. 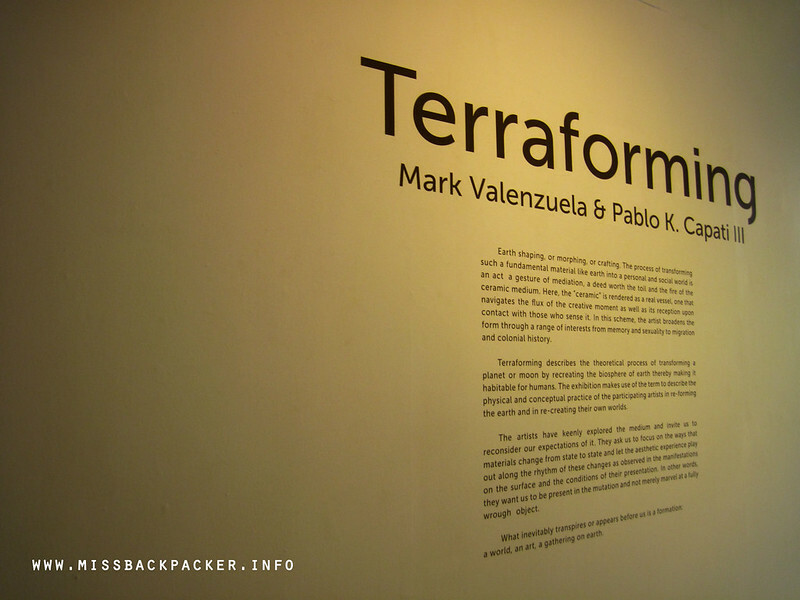 A quick look at the featured exhibit, Terraforming. There’s more to President Manuel Luis Quezon, known as the the first President of the Philippine Commonwealth, than his important contribution and influence to Philippine governance. And of course, being that iconic face on our P20-bill. Now, we can have a glimpse of his personal life by visiting The Quezon Heritage House at the Quezon Memorial Circle. 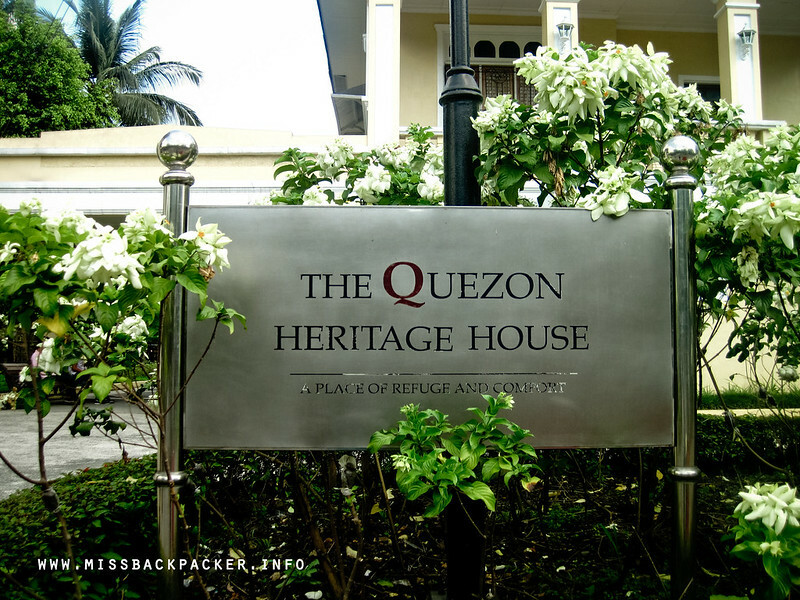 This is a replica of the old vacation house of President Quezon and was originally located on Gilmore Street in New Manila. The two-story heritage house showcases the Quezon Family’s simple lifestyle featuring some tiles, grills, doors, and windows from the original house. Visiting the heritage house is free, but donations for the continuous development and conservation of the heritage house is appreciated. This is also a guided tour and would require permission from the Office of the Vice Mayor of the city. So, before going there, make sure to acquire this permit as you won’t be allowed inside the house without it. The entrance to the heritage house. One of the bedrooms in the heritage house with a replica of a bed where the late president used to lie. The crew of Microtel by Wyndham capturing photo souvenirs of the heritage house. *Click here for a complete list of rates. You need not to go far if you’re looking for an outdoor recreation area. 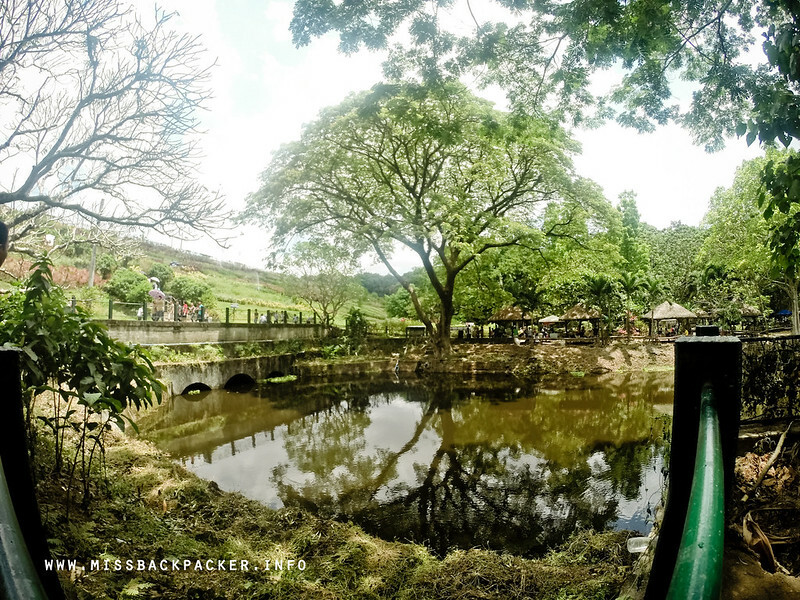 La Mesa Ecopark is within every Metro Manila residents’ reach. It has public pools, picnic areas, bike trails, mini forests, boating lagoon, and even function halls for private gatherings. 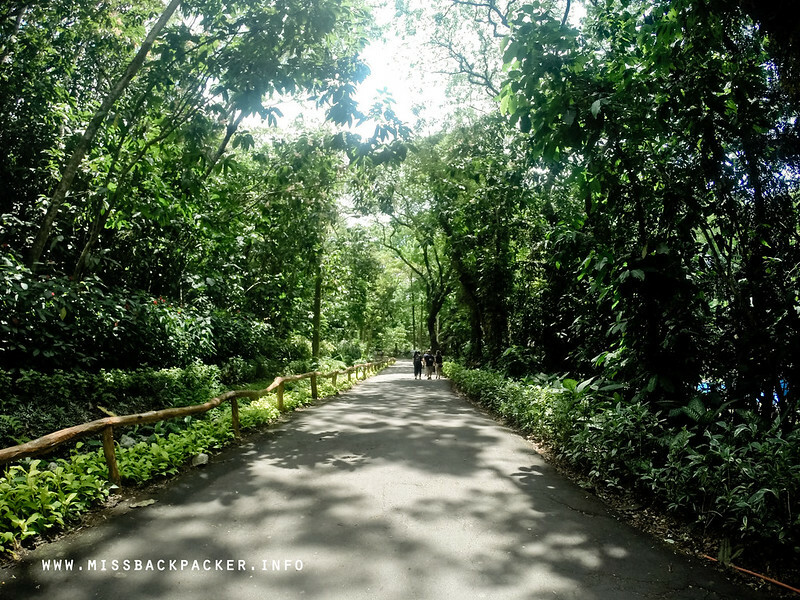 By visiting the park, you just don’t get to experience nature and spend quality time with your loved ones, you also help in the continuous preservation and protection of the La Mesa Watershed as the income generated by the park all goes to this cause. And after all, you really haven’t been to Kyusi if you haven’t been to this park. Lost? Don’t be. 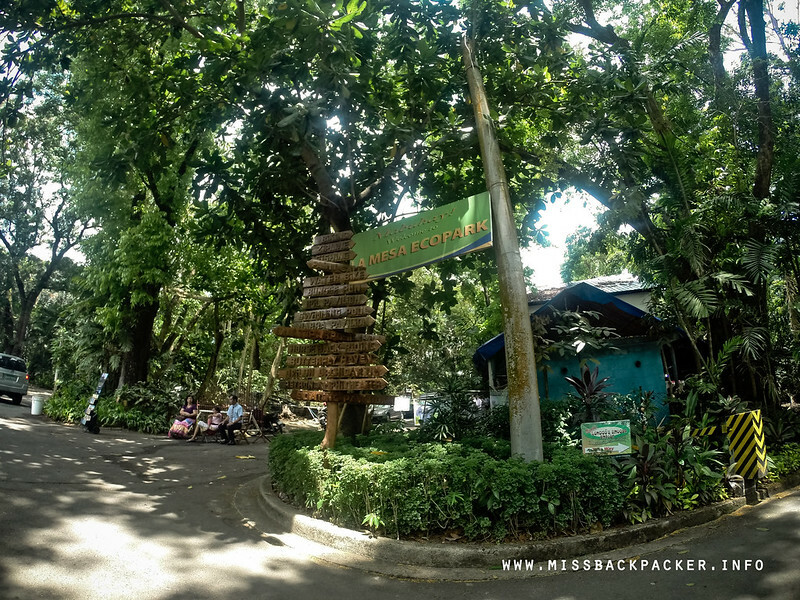 La Mesa Ecopark will show you the way. There are huts where you and your family or friends share a sumptuous lunch. Don’t be too surprised if you see baby lizards walking along with you as you make your way through the park. Seeing a photo of yourself is fun. How about seeing a photo of yourself in wild and sometimes impossible places? Over-the-top fun, right? 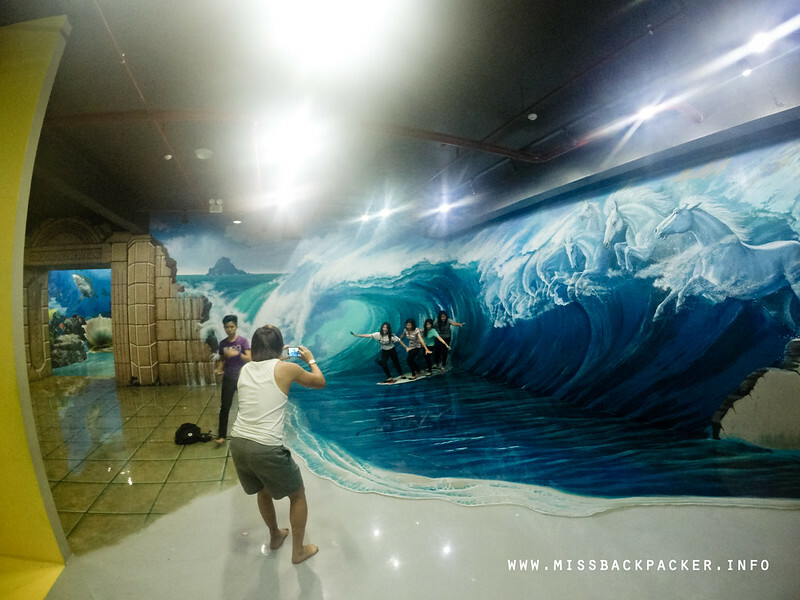 And that’s what Art in Island is trying to offer its visitors, experience a 3D art museum where guests can be “part of the art.” It may be an expensive (regular rate is Php 500 for each visitors) getaway, but you will surely enjoy it. Pose, click, upload! 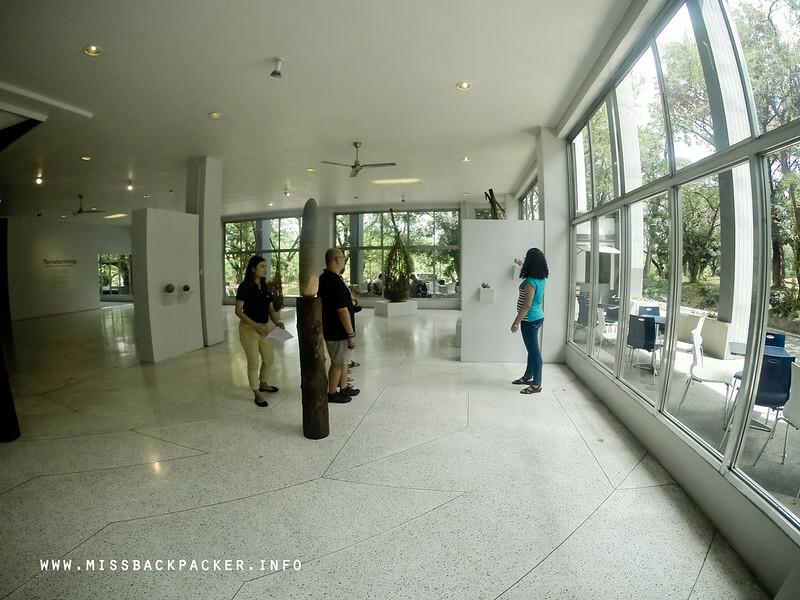 To enjoy your Art in Island visit, you gotta become actors and models as you enter the museum because each exhibits demands you to act as if you’re really part of it. 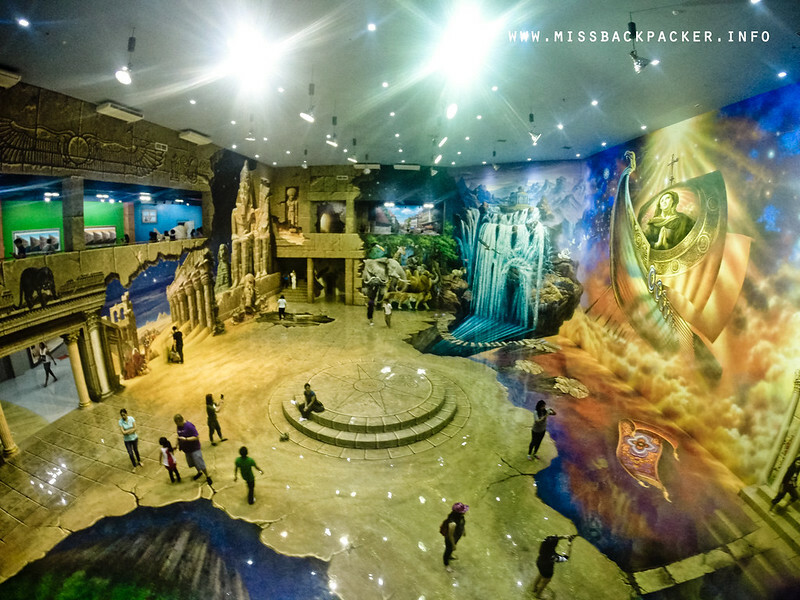 This interactive museum is located at the back of Cubao Expo. 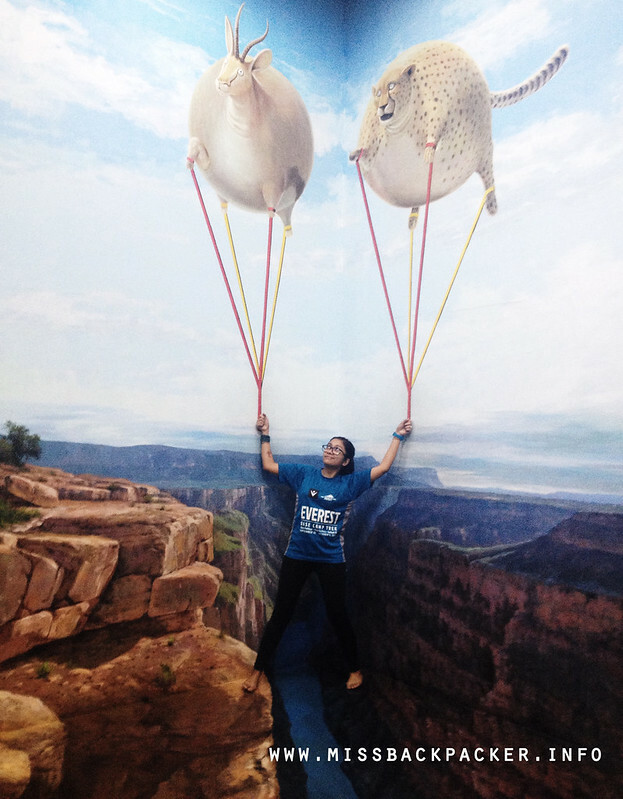 Does it look like I’m being lifted by these two bloated animals? The whole museum is really huge and what this photo shows is just a small part of it. 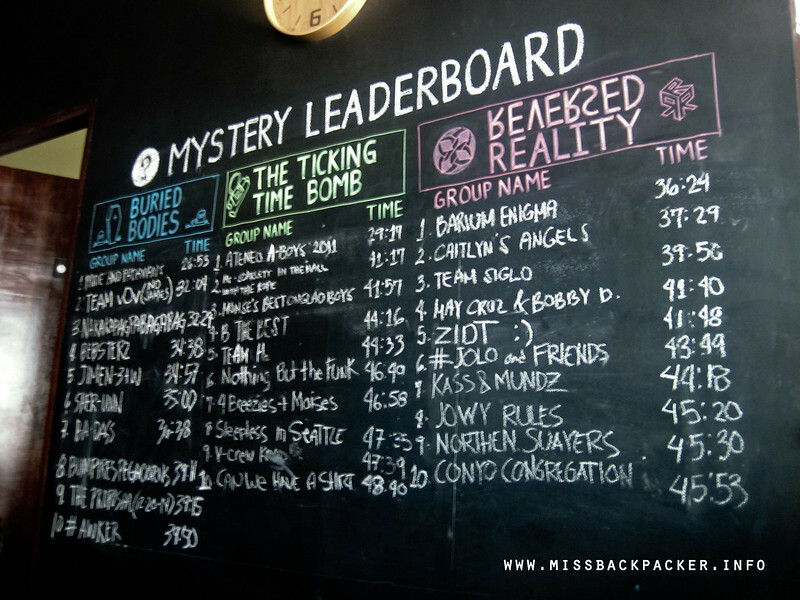 Unleash the inner geek in you and become Sherlock Holmes or Nancy Drew for an hour! I worked in Eastwood City for almost seven years and haven’t heard of Mystery Manila until I got the chance to personally visit it and play one of their games, Buried Bodies. 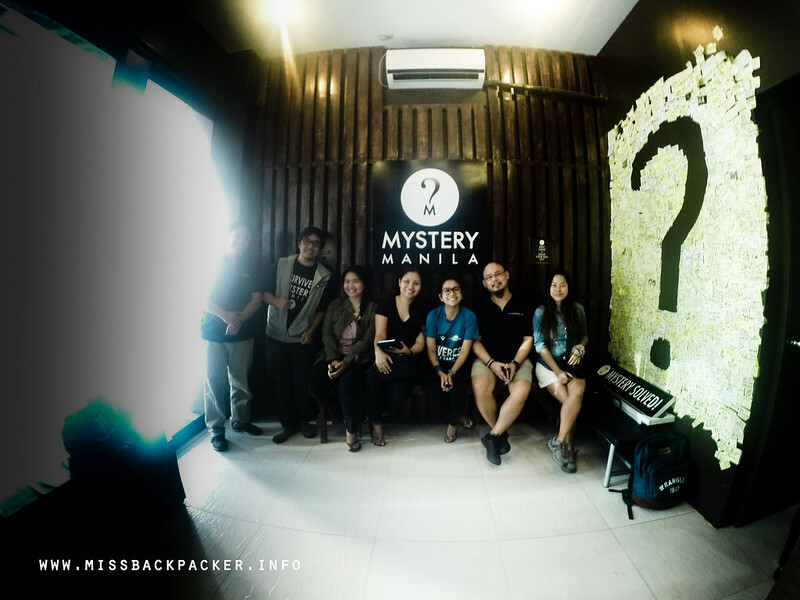 Mystery Manila is the first ever live escape room game in the country and has four branches, one of which is just across the Eastwood City. I will not provide more details and clues as these may just spoil your fun, but one thing is for sure though, this will challenge you mentally, emotionally, and physically. You can tag up to five of your friends to complete any of their challenges. 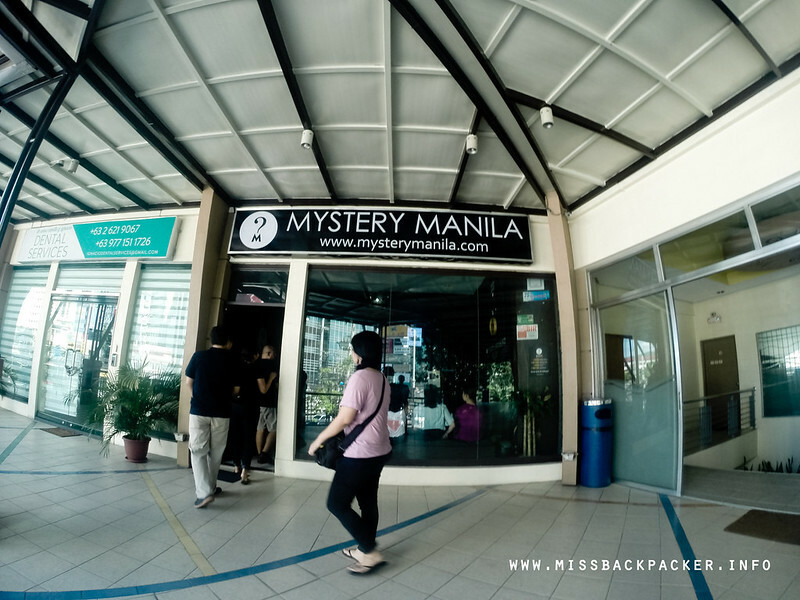 As of writing, Mystery Manila in QC has four mysteries waiting for you to solve. The facade looks like you’re about to enter a regular shop. Prizes await those who can beat any of the teams in this scoreboard. 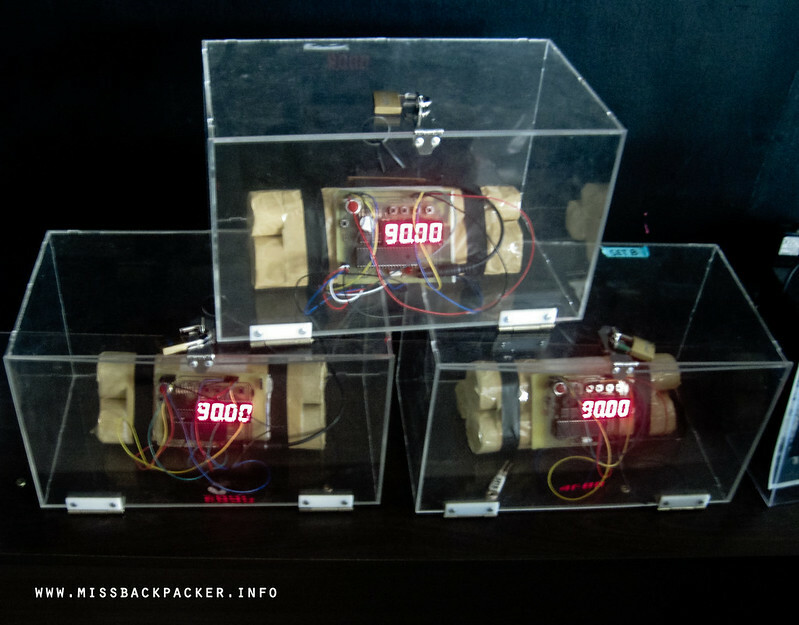 The Ticking Time Bomb mystery is ze bomb! With my geek friends and fellow travel bloggers, Monica, Mai, Egar, and Kara along with Microtel Marketing Communications Director Dandi Galvez. I am now asking myself how come I waited this long to discover all these interesting spots in Quezon City. Meh. Nevertheless, it’s not that late for me and I hope all of you explore more and more of your city or hometown before anything else. As what the late Susan Calo-Medina said, “Huwag maging dayuhan sa sariling bayan.” Okay, I blabber too much. Many thanks to Microtel by Wyndham – UP Technohub and Acropolis for organizing this familiarization tour.